Sanna Sevanto, Research Scientist at Los Alamos National Lab. Sanna Sevanto is a research scientist at Los Alamos National Laboratory. She has a master’s degree in material science and a PhD in applied physics from the University of Helsinki, Finland. Her interests in biomechanics and the environment have lead her to apply the knowledge of physics to studying plant physiology and plant responses to environmental stress. Before beginning her career at LANL in 2009 she spent three years studying plants at Harvard University and teaching atmospheric thermodynamics and fluid mechanics at the University of Helsinki. 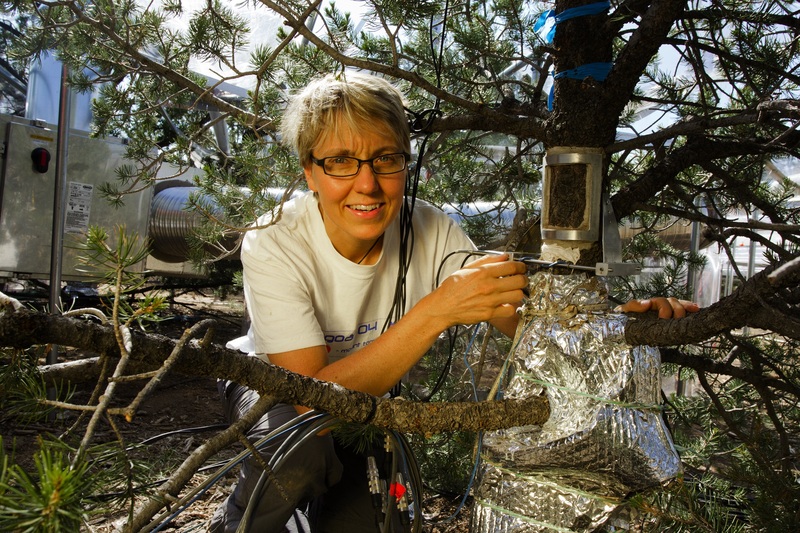 Her current research focuses on understanding how different environmental stresses kill trees and how plant structure affects their vulnerability to environmental stress. Being a former member of the Finnish ski-orienteering team, Sanna is an active participant in all kinds of endurance sport events from long distance running to triathlons, which she took up in Los Alamos. But outside science cross-country skiing and fine arts are the topics closest to her heart.